Return to the Donated By Credit or Debit Card page. There are lots of other ways to support the Endometriosis Association financially. Below are some more-common examples. Do you already shop on Amazon.com? Through the program Amazon Smile, Amazon will give a percentage of their profits to the Endometriosis Association. 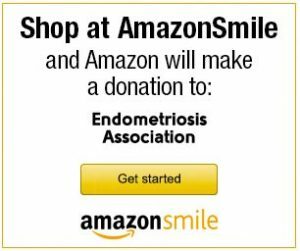 Visit Amazon Smile to learn more about this program and select “Endometriosis Association” as your preferred charity. 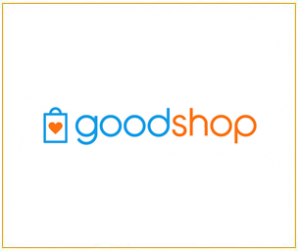 Before you SHOP ONLINE, check out GoodShop where you’ll find discounts for you and retailers who will donate a portion of your purchase to the Endometriosis Association when you register the EA as your charity. There’s also an App! Help Endometriosis Association, for free, every time you shop. Turn a portion of everyday purchases at over 1,500 online stores into direct support of our mission. 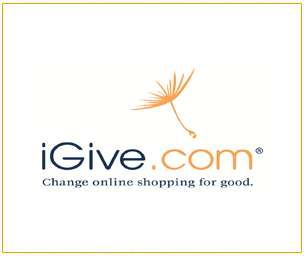 iGive is a free service for shoppers and the causes they support. Donors may make gifts in honor or memory of friends and family members. An engraved brick, a bench, or a flowering tree in our Garden of Hope is a special way to show a loved one how much you care. Please be sure to give us the name and address of your honorary gift recipient so that we can let them know of your kindness. Engraved bricks are $150 for an 8” x 4” brick (up to 4 lines), and $225 for an 8” x 8” brick (up to 6 lines)–up to 18 characters per line for both sizes. Please call or email endo@EndometriosisAssn.org for pricing on markers and trees. For those who would like to deepen their commitment to the fight against endometriosis and to the important work the Association is doing, becoming a member of our Legacy Society may be the answer. Members of our Legacy Society continue their commitment to our mission by including the Endometriosis Association in their estate plans. It doesn’t have to be complicated. For more information on the many estate-planning options available, please contact us at (414) 355-2200. Becoming a member is one of the most important ways you can support the Endometriosis Association’s mission. Although membership dues don’t completely cover overhead costs or fund our research programs, our members play a very important role in creating awareness of endometriosis as a life-changing illness, and they represent a united force working toward a common goal of ending this terrible disease. Our members give hope and strength to those in the throes of endo by showing them they aren’t alone.